Over the years I have occasionally come to this place. It’s known as Seymour’s House. The effect is always the same: a romantic sense of … well, perhaps a whiff of Indiana Jones hacking back the remote jungle fronds and finding a Mayan temple. Of course, that’s not quite it, this is Dorset… but the Island is a lost world, once a succession of rich men’s kingdoms. Their evidence hidden amongst the trees. 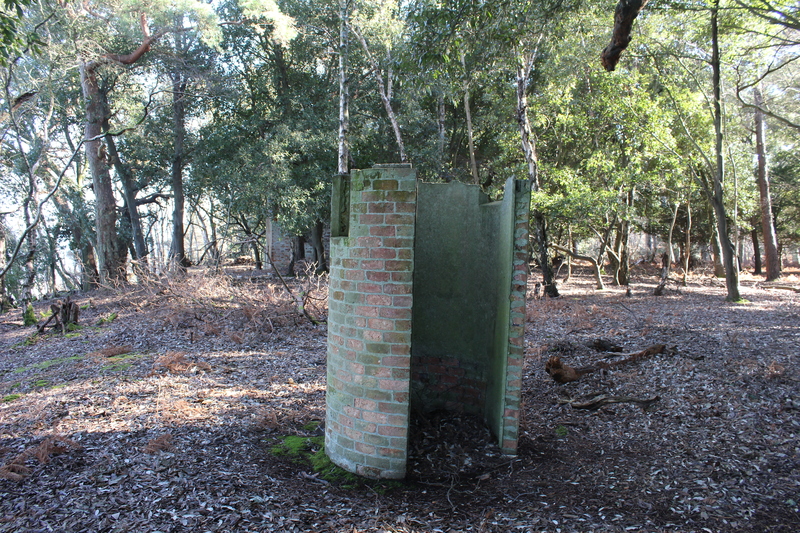 We landed on Brownsea in the early spring to check the winter’s erosion along the coastal archaeology. Each year increasingly exposed and washed away during the winter storms. By chance, we had tripped over a perfect day: absolutely still; clear blue skies and bright low sunlight freckleing the water. Didn’t see anybody all day.. until the return to the ferry in the afternoon. I usually get to Seymours from the west end. Climbing up from the ruins of Maryland settlement. We crossed the fence into the nature reserve. There is no good path here. I always forget exactly where it is, peering through the pine trees to make out a craggy outline, treading the pine needles, hunting for a remote and rarely seen home, long abandoned. Then I pick out the line of the wild laurel hedge that once framed the garden and there is Seymours with its tall chimney and its circular privy. I first came here in 88 and I always expect it to have fallen down but it looks just the same, sheltered by the pines. It was once a single storey lodge with a verandah overlooking the coast. A flight of steps leading down to the beach. 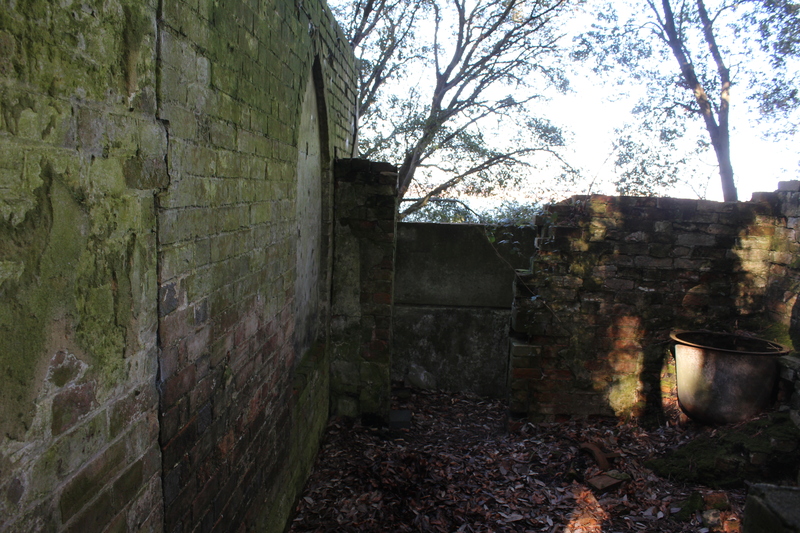 The roof has long gone with stacks of Welsh slate piled against the walls. In the kitchen, the hand pump over the sink is now missing but on the other side of the fireplace, the copper for heating water is still in place. The house clearly developed over time. It had over century of tenants before the last occupants left. The earliest brick building had pointed gothic windows and then these were blocked and the kitchen was built. The 1861 census records that the manager of the brickworks and his family lived here.. but when was it first built? No views today, the place is shrouded in trees..
Usually Brownsea is famed for its scouting heritage and wildlife. Perhaps we have forgotten what the wealth of its various owners did to this place. 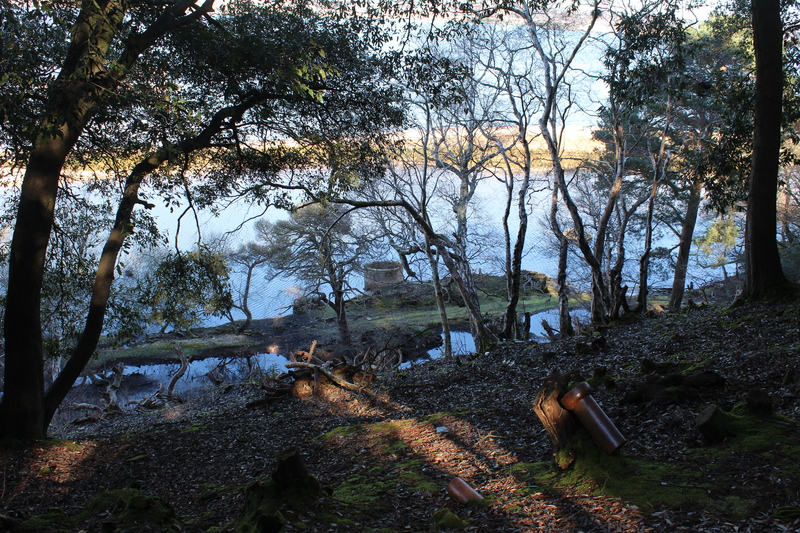 From the late 17th-early 20th centuries, each man bent Brownsea to his will.. creating a succession of designed landscapes to embellish a private kingdom… set apart from the world. 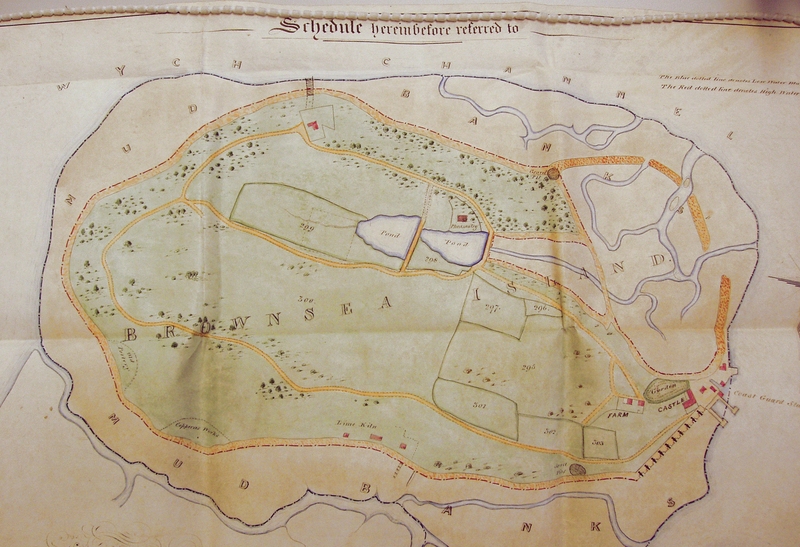 Contrived views and plantations, lakes, follies, a model farm and a kitchen garden reached via looping carriage rides. Sir Charles’ other claim to Google fame is his long legal dispute with the fishermen of Poole. They were prevented from entering Brownsea’s St Andrew’s bay after dams were built across it to make the great lakes and lagoon….Sir Charles applied money and influence and eventually won the court case. I came back to Seymours with Sarah and Jonathan a few weeks ago. This time we approached from the east between the great lakes. 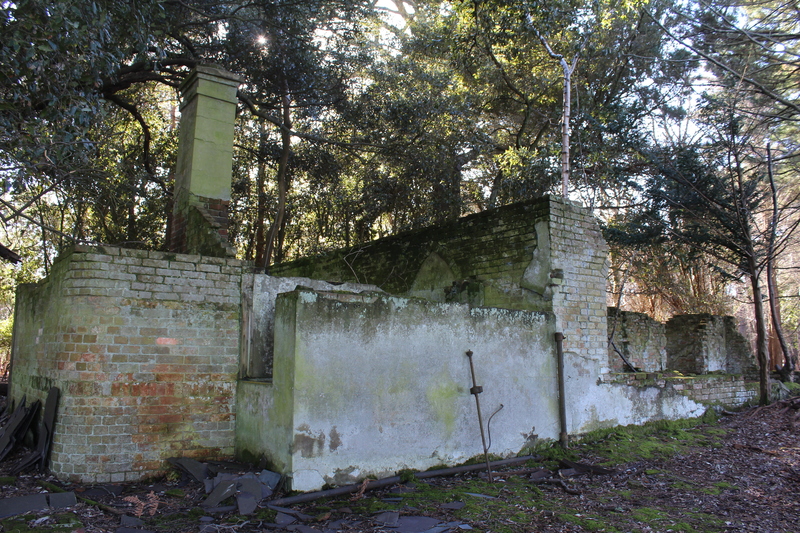 They have agreed to investigate Brownsea and at last tell the stories of its gardens and landscape parks. I look forward to reading their report. 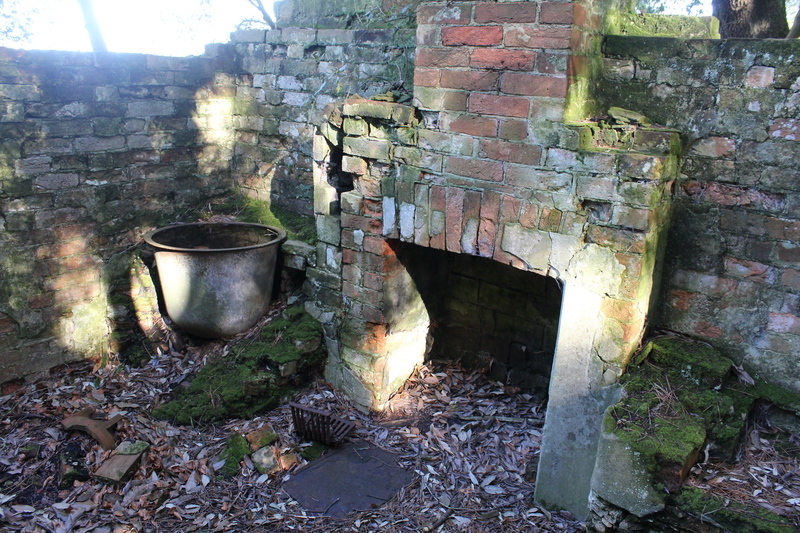 This entry was posted in Archaeology, Brownsea Island, Building, Building archaeology, Coastal archaeology, Discoveries, Dorset, Gardens, Industrial, NT archaeologists, Survey, Uncategorized by martinpapworth. Bookmark the permalink.